The United States is gearing up to ring in the New Year 2019 with a new global aviation standard that would help combat terrorism by facilitating the collection of air travelers’ records on a larger scale. The White House’s demand for a new global aviation standard in order to avert all probabilities of terrorism has raised privacy concerns far and wide, since it seeks to expand the collection of airline passenger details. The counter-terrorism coordinator, Nathan Sales from the United States has requested the United Nations’ aviation agency, ICAO to frame a new global aviation standard by 2019. The move is intended to obligate more and more countries to collect air travelers’ details like email addresses, credit card information and frequent flyer numbers, as reported by Reuters. Notably, the International Civil Aviation Organization (ICAO) has been urged to act upon the request, ‘with all deliberate speed’. “Terrorists are not waiting, so we can’t afford to wait either,” Reuters quoted Nathan Sales saying at the International Civil Aviation Organization’s high-level conference on global aviation security. The United Nations’ aviation agency cannot exert its authority to bring rules upon foreign governments directly. But, it can wield power through its aviation security and safety principles. ICAO’s security norms for international air transport are backed with domestic lawmaking by ICAO’s 192 country members. Nathan Sales said that the US would not hesitate to provide countries with monetary and technical provisions in order to facilitate collection of airline passenger details. Currently, a few countries collect PNRs, travel dates, itineraries and contact details of air travelers. The relevance of collecting and sharing airline passenger information has been questioned and debated on grounds of data security issues and privacy concerns, mostly in Europe. “We will comply with any ICAO mandate only if it syncs with new the data protection norms in Europe,” said Henrik Hololei, Director General for Mobility and Transport at the European Commission. Since the early 1990s, the US government has been using PNRs. The federal agencies have deliberately used PNRs to bar militants from entering the US borders and clamp down on child trafficking rings, according to Nathan Sales. Airlines are required to share their passengers’ reservation data with the US, and that too before departure of flights. 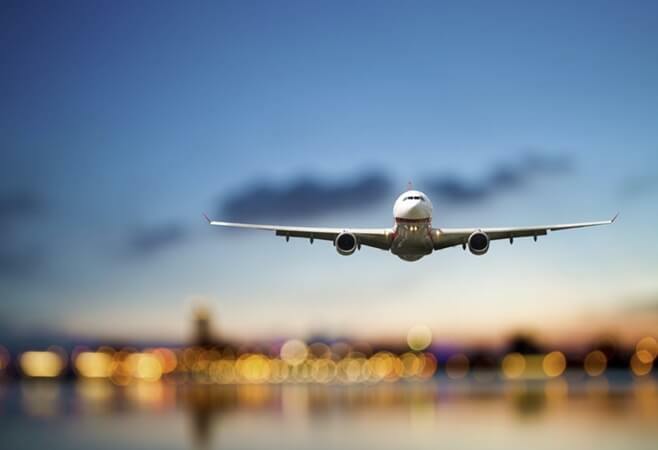 The flight booking details of passengers traveling to, from, over and through the USA are shared with various federal agencies, including the Transportation Security Administration (TSA). “Other than the US visa and immigration, it is data breach that hit news headlines and popped in the streaming of news feeds on Facebook throughout the year 2018. The latest cases of data breach – one exposing 500 million guests of Marriott International’s Starwood hotels worldwide and the other exposing 100 million users of the question-and-answer website Quora to personal information abuse risks – make it evident that data breach is a most worrying incidence in every sector, from banking to aviation, from e-commerce to social networking. Evidently, data security is a pressing need of the hour,” commented the chief technology officer of IndianEagle.com, a leading international air ticketing agency. With regard to passenger information security, Nathan Sales is of the opinion that the US government has taken impenetrable measures to ensure data protection and privacy, like an unblinking watch on government officers having access to PNR data of air travelers. Data privacy and security is a matter of the utmost importance for the US, according to Nathan Sales. The United States’ demand for a new global aviation standard by 2019 is complaint with a 2017 UN Security Council Resolution, which frames new policies for countries to prevent terrorist travel.